Will UID and Aadhar card scheme overcome fears At India? 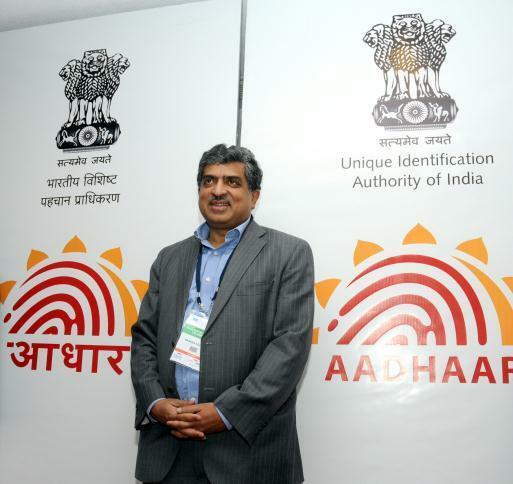 Coming Tuesday on December 13, 2011 Nandan Nilekani would be delivering a lecture on the U.I.D. Project at the India International Center, New Delhi. But even as one of India’s brightest software personnel and cabinet minister rank technocrat would be preparing his speech to support this much celebrated project, a storm is brewing about scrapping the whole Unique Identification Authority Project. India Today reported on December 8, 2011 that a parliamentary committee is set to reject the National Identification Authority of India Bill 2010 rocking not only celebrity Chief of UIDAI Nandan Nilekani but the whole UID project which was termed as Prime Minister Manmohan Singh’s pet project. Mr. Nilekani was keen on the enactment of the Bill so that a statutory National Identification Authority could be established. The BJP leader Yashwant Sinha headed Parliament’s standing committee on finance has indicated near unanimous view about the withdrawal of the present Bill, reported India Today through unnamed sources. The committee is of the view that the UID scheme has been conceptualised without any clarity or purpose and is riddled with serious lacunae in its content and execution. The four major objections are: -inclusion of ” residents” as opposed to “citizens”; issues related to privacy of those being assigned the UID numbers; duplication of the work being done for preparing the National Population Register ( NPR) using the same biometric attributes; and the massive expenditure that the project entails, India Today reported. The committee expressed fear about misuse of data being collected for Aadhar since private organisations and individuals are involved in the implementation process. It has also questioned the technology used in Aadhaar, terming it as “unreliable and untested”. Already over 5.75 million UID cards have been issued countrywide. The cumulative revised budget estimates of the project, launched in 2009, is Rs.1,660 crore for 2010- 11 and 2011-12 put together. More than Rs.556 crore has already been spent on the scheme. The project has also been opposed by the finance ministry expressing concern at the lack of coordination with the implementing agency and the government. The home ministry is learnt to have criticised the efficacy of the interlocutor system in implementing Aadhaar. This has come as a shock even as UID authorities aim to attain 80 per cent coverage by March 2012. UID issued Aadhaar car is being used in states like Madhya Pradesh to increase the percentage of enrollments in school and the plan is to use it to broad base and ensure proper distribution of government benefits. On August 20 a Memorandum of Understanding (MoU) was signed between the Unique Identification Authority of India and the Government of Bihar. Reserve Bank of India said in its September 28, 2011 notification that the UIDAI containing details of name, address and Aadhaar number, could be an officially valid document. The project would reduce the cost of verification of identity for the private sector as well. UID project could also serve a backbone (of verification) for the delivery of rural banking services via the banking correspondents model, as well as payments for projects like NREGA at common service centers. Jharkhand has been a role model in using the UID to ensure NREGS payments reach only the true beneficiaries. The Jharkhand success has been seen as the way forward to ensure success of India’s welfare programmes — that deliver benefits of about 3,00,000 crore on paper, but sizeably less in real — into cash transfers. UID has the potential to be a change maker in India’s inability to change its systemic failure of schemes. Objections and concerns apart, the scrapping of the UID project would be a serious setback. However, the concerns raised by the Parliamentary standing committee are valid. Will Nandan Nilekani’s team pull a miracle and overcome the concerns raised? In the past for raking up funds they had introduced some certificates to be bought and had asked the BDOs Tahsildhars to collect. There there was some meaning for funds. Here the govt is spending millions with no benefit but for the top officers getting fat salary.